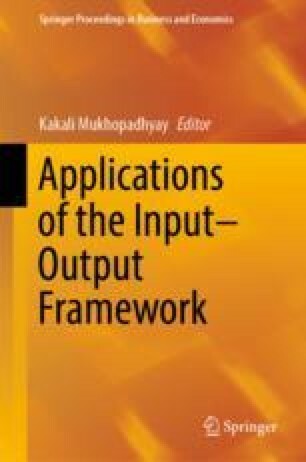 Research in input–output has advanced ahead of the traditional framework of input–output to include other mathematical and statistical techniques. This has allowed studies in this area to go beyond the general equilibrium framework. The work of Quesnay (1694–1774), Walras (1834–1910) and the brilliant interpretations and reformulations by Leontief (1953) led to the development of the fundamental principles upon which the input–output model was based. Quesnay’s ‘Tableau Economique’ provides an iterative solution to the structural interdependence in the economy: Leontief was able to move this formulation to a more general one and, in the process, expand the capabilities of the model.